The Complete History of Restaurants Featured on "Curb Your Enthusiasm"
Looking for the right restaurant to initiate a really uncomfortable conversation? Well, we watched every single episode of Larry David's Curb Your Enthusiasm, taking note of all the spots LD and company frequent—real, fake, and everything in between. HBO’s resident curmudgeon might not boast the greatest people skills, but the dude definitely knows how to eat. Now, with this comprehensive guide, you can dine where he does. The show's eighth season comes to an end this Sunday, September 11, making now the perfect time to catch up on all the food and discomfort that's come before it. 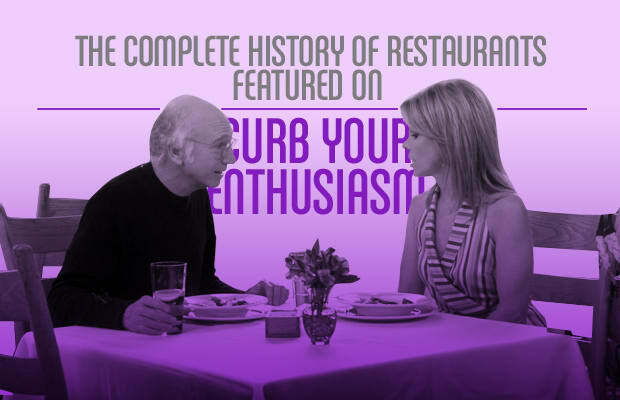 Whether your palate pines for some itis-inducing ribs or the perfect morning-after margarita, check out Complex's Complete History of Restaurants Featured on Curb Your Enthusiasm to determine the perfect way to curb your appetite.